Before we begin, I have to admit to something rather embarrassing. With Republic Day coming up, I thought I’d talk to my four-year-old about it and explain why this day is celebrated in India. 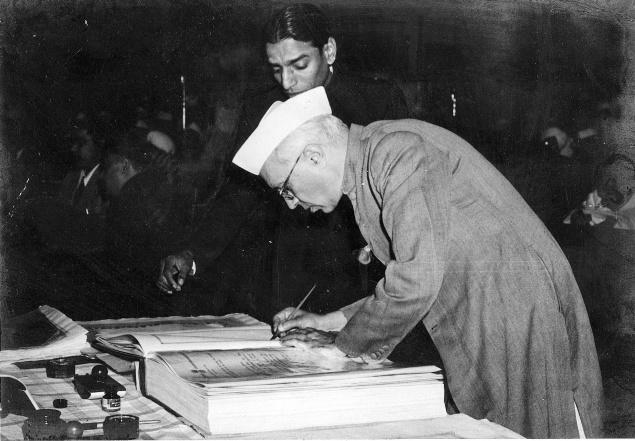 However, I shame-facedly realised, I had completely forgotten all about the Constitution, even to the extent as to what the Preamble is and what is written in it! How could I possibly teach anyone about the Constitution if I myself wasn’t clear on it. 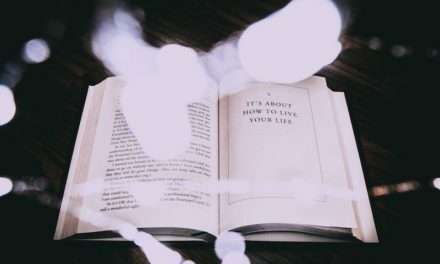 I turned to what I always turn to- books. 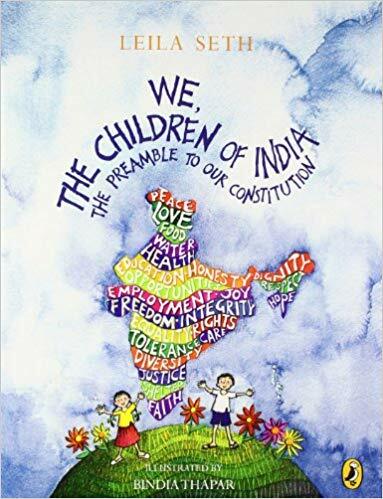 And even better, I turned to a children’s book- We, The Children Of India by Leila Seth, to not only introduce the Constitution to my little brat but also to reacquaint myself with what I learnt in school. Not only was Seth the first woman judge of the Delhi High Court and the first woman to become the Chief Justice of a state, but she was also a human rights activist and promoted children’s education, so to call her anything less than an authority would be criminal. We should and need to talk to children about the Constitution if we want them to grow up and live by it, if we want them to imbibe all that our country stands for and to respect what countless heroes died fighting for. When it came to reading We, The Children Of India to my daughter, the first question I asked myself was whether at four-and-a-half, is she too young, given that it is meant for seven years and up. She certainly wouldn’t understand all the big words (sovereign, fraternity, etc. ), and while I was confident of being able to explain them to her, I wasn’t sure if she would understand the sentiment behind them. But then, learning from past experience, I decided not to underestimate children, and I began to read it to her. In the book, Seth calls the Constitution our national book and defines it as the book that “contains all the ideas and rules that keep our country working”. Her book is dedicated to the Preamble of the Constitution which she says “is the soul of the Constitution, it sets our national goals, such as justice and equality”. What particularly fascinated me about the book was how Seth managed to explain complex words and sentiments to young children. Take the first, and most important, part of the Preamble. In it, India is defined as a ‘Sovereign Socialist Secular Democratic Republic’. Really, these five words tell us, and the world, all that India is about. It encompasses how our country is governed, whether or not we are affiliated to any religion, etc. And explaining this to children isn’t easy. But Seth did a wonderful job, using simple text and beautiful drawings. The first illustration shows the citizens of India- in it, you’ll find people of different ages, from various communities and social classes, dressed in innumerable styles, and following a multitude of religions. This is accompanied by text that tells us how many languages are spoken in India, how many festivals we celebrate, etc. 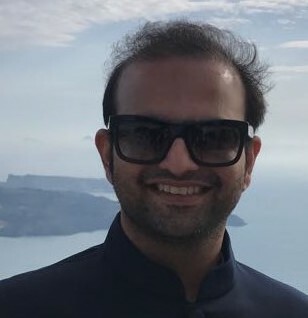 It visually depicts what all the people of India can look like. Seth says that the Constitution contains the most important laws of the country, and right away my daughter’s first question was, ‘what is law?’. Now that’s a tough one to explain to any four-year-old. So I tried to make it easy for her to understand and used concepts most children her age are familiar with, such as robbery and driving over the speed limit, and how they’re both illegal. Funnily enough, she questioned me not about the legality of robbery but of speeding. It seems, to her innocent mind, robberies were just wrong, no debate and no scope for context, but for the life of her she could not figure out why driving a car too fast could be wrong! When we were discussing each individual ‘big word’ in the Preamble, my daughter was especially fascinated by the word ‘Sovereign’ and India’s journey to Independence. She immediately drew a parallel to her life, questioning if India becoming a sovereign would be akin to the time she would have to stop listening to me when she grew old. Funny as it was, it provided me with an excellent opportunity to talk about the role of governance and that even if you live in a sovereign nation, you still need a robust government calling the shots. Of course, I likened myself to the government! I was dreading the section on democracy and her deciding that we should vote for who ‘leads our house’, but thankfully that never came up! Our favourite section of the book was when Seth spoke about how we were a secular nation, largely thanks to Bindia Thapar’s beautiful illustrations. She has made lovely drawings of children from different religions, all praying in their respective styles. It was the perfect way to talk not just about secularism but also about how we should not be judging someone based on their religion and how ultimately we can choose to follow what religion we want, but that doesn’t define who we are as people. I don’t know if it was intentional but the faces of all the devotees were identical, so it made the concept of ‘we are all the same, despite our religious beliefs’ easier to talk about. We spent a solid two hours reading the book but did skim over a few parts, such as the details about the lives of the makers of the Constitution. None the less, given our Constitution was written by both men and women, all belonging to different religions and communities and hailing from different states, it allowed me to talk about how you don’t have to belong to a particular community to actually make a difference to your country- it is your intellect and your willingness to work hard that matters at the end of the day. At the end of the book, Seth talks about how the Constitution is ultimately only a piece of paper, and that all the citizens of India have to work towards ensuring that we at least abide by the spirit of the Preamble, if nothing else. She talks about how despite calling ourselves a Socialist country (where we should share resource) and saying Equality is one of our values, there are still children with no access to education or food. This inspired my daughter to say that she wants to help in some way and we have decided to donate rice, daal and broccoli (her favourite vegetable) to the needy at least once a month. It this book can inspire such feelings in a four-year-old, then what more can we ask for? We, The Children Of India is a lovely way to introduce children to The Constitution. 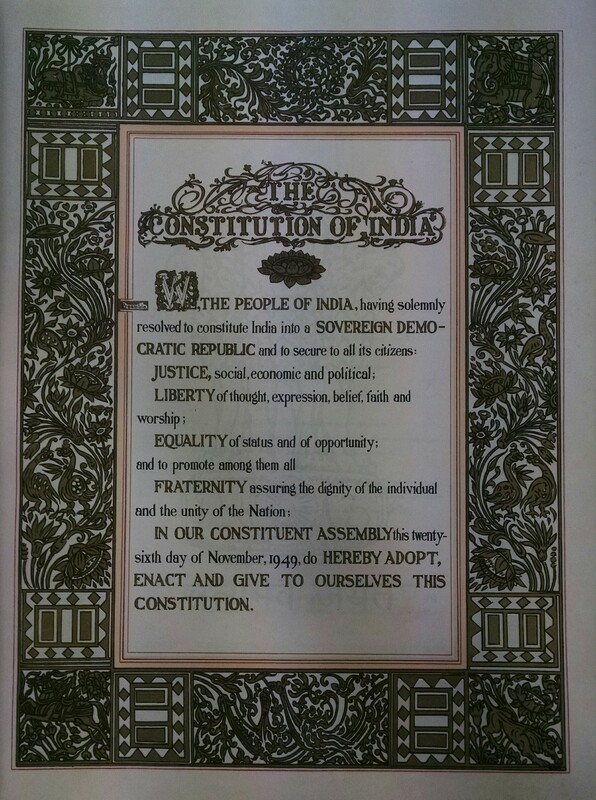 It talks about what all our nation stands for and the importance of the Preamble. If we, as adults, do our bit and have regular conversations about it with them and constantly remind them of the values of our nation, they are likely to turn out to be proud Indians with a sense of duty and responsibility to our nation. 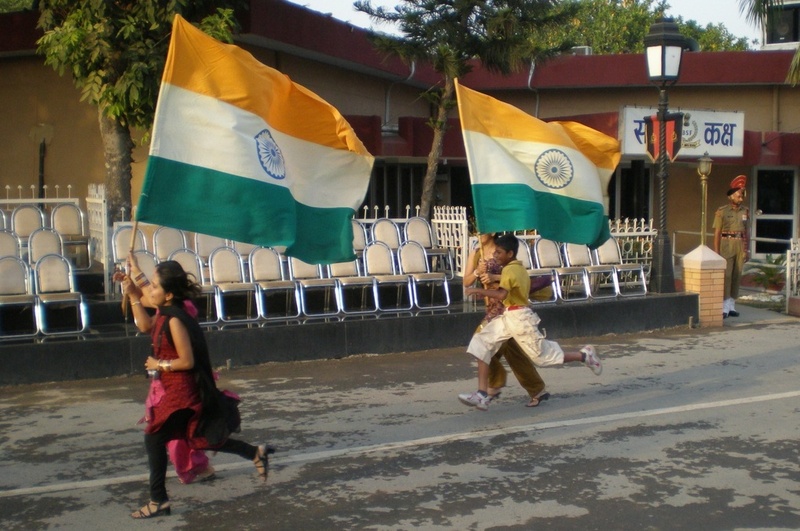 Do you think it is important to teach your children about Republic Day and the Constitution? Have you read We, The Children Of India? Do you have any recommendations for other good books about the Constitution? Share your comments with us below.